Urbanization and Animal Cruelty: What Role Does Utilitarianism Play? The majority of incarcerated offenders who report both violence toward humans and a history of animal cruelty also report growing up in urban or peri-urban settings. This may, in part, simply reflect the increased urbanization of Western society and a shift away from rural living and agricultural production. However, it has also been suggested that urban living and how that has affected the attitudes of humans towards animals may influence the development of animal cruelty behaviors by humans. In contrast, while the ‘utilitarian’ view of animals (where animals are seen in the context of their usefulness to humans) appears more prevalent in rural areas and has been linked by some with animal cruelty, it has been hypothesized – somewhat paradoxically – that utilitarian attitudes may also protect against the development of animal cruelty behaviors by humans. 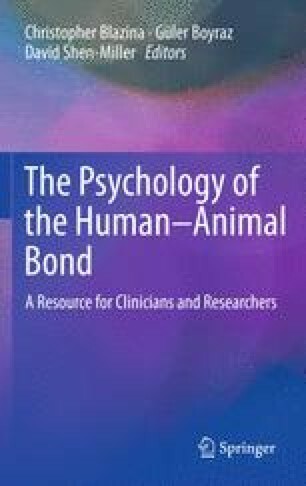 This theory, and what it means for understanding the relationships between humans and animals, is examined from the dual perspectives of philosophy and empirical study. Particular emphasis is placed on considering how the definition and measurement of animal cruelty has influenced existing theory and study in the field, and how that has shaped research into human–animal relationships.